Kingsport City Schools strives to always be Student Focused... World Class. Listed below are just a few Key Initiatives that have been implemented within the school district. 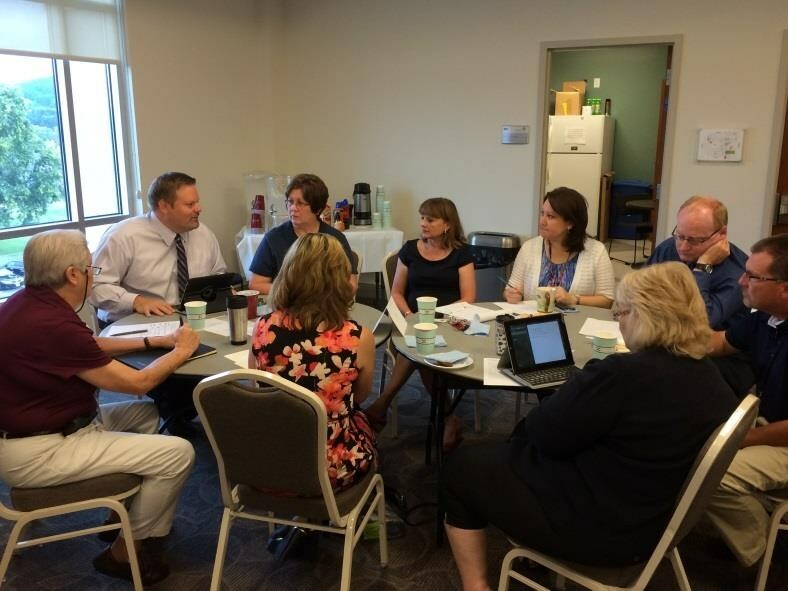 Kingsport City Schools supports each of its schools through a unique process involving ASC (Administrative Support Center) teams. Each team volunteers time and energy to assist in a variety of activities at the school level. The ASC teams strive to develop a learning-focused partnership with each school, deepen relationships between the ASC and the schools, reorganize and re-culture the ASC to become a support center for each school, support the teaching and learning process, develop a culture of stewardship, and support continual improvement. ASC teams volunteered over 1,400 hours to KCS schools in 2012-13 and 1,500 hours in 2013-14. This support effort is one of the Kingsport City targets under Strategic Plan Goal 4 - Ensuring business operations effectively support teaching and learning. Kingsport City Schools has developed a comprehensive strategic plan that is approved annually by the Board of Education. The strategic plan is composed of five goals, with embedded short- and long-term targets that are used to measure the system’s progress and support student learning. STREAM is an acronym that stands for science, technology, reading, engineering, arts, and mathematics. Kingsport City Schools has developed a STREAM vision that incorporates a variety of activities to support this academic focus, with a purpose to reach every child and to provide opportunities for students who exhibit an interest or aptitude in science, technology, engineering, and/or mathematics. Students can experience an annual summer STREAM Camp, culminating STREAM projects, career exploration, and career and technical education. In addition, the effort also focuses on partnerships and professional learning. Kingsport City Schools is currently working towards the goal of establishing a regional science and technology center that integrates high school curriculum and industry through school and business partnerships that focus on authentic research, application, and mentorships with professionals in our neighboring businesses and industries. 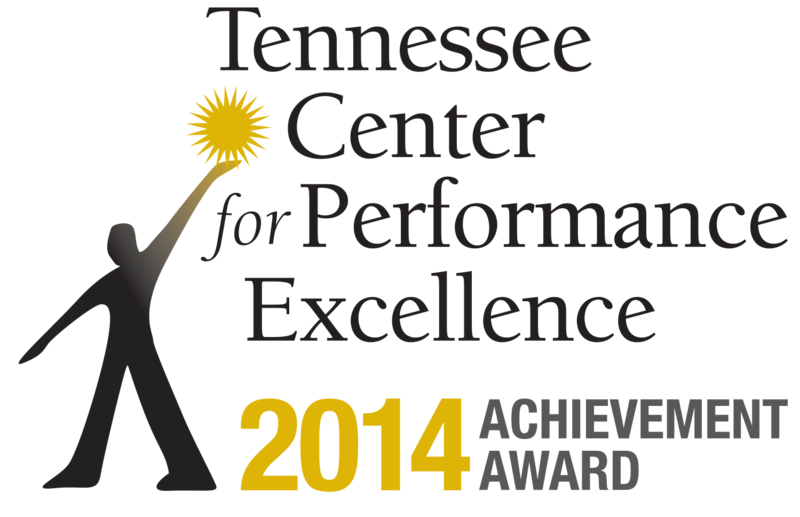 Kingsport City Schools has been heavily involved with TNCPE (the Tennessee Center for Performance Excellence), which utilizes the national Baldrige Criteria to drive organizational excellence in the state of Tennessee. In 2014, KCS received an Achievement Level Award from TNCPE, which recognized KCS for its implementation and systematic process of refining and improving organizational processes to support the vision of being student focused and world class. The SCORE (State Collaborative on Reforming Education) Prize has been identified as the hallmark program that recognizes Tennessee schools and districts for their outstanding work supporting student achievement and college readiness performance. SCORE initially identifies three districts and nine schools based on a blind review of performance data. After these finalists are selected, a team of state and national educators conduct site visits to review how these districts and schools produce outstanding student results. The results are collected and reviewed by a selection committee which conducts a secret ballot to select the winners. Finally, SCORE distinguishes one district, elementary, middle, and high school with the SCORE Prize annually for being leaders in student learning. 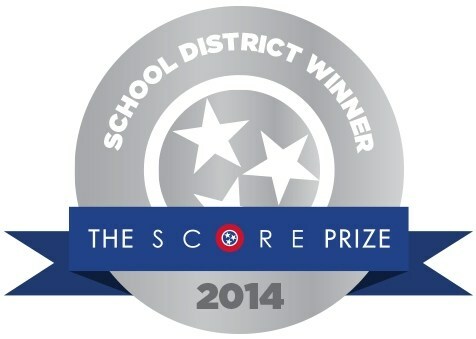 Kingsport City Schools was nominated as a Score Prize District Finalist in both 2013 and 2014, winning the award as the top school system in Tennessee in 2014. An honor of this distinction is only due to the fantastic faculty, staff, parents, students, families, and community members of Kingsport City Schools and the city of Kingsport.